Make Sure Your Grandparents Remember This Grandparents Day! Believe it or not, Grandparents Day is not only celebrated in elementary schools. In fact, Grandparents Day has been a national holiday ever since President Jimmy Carter declared in 1978 that the Sunday after Labor Day would be forever named as such. The current president renews this declaration each year, so the tradition and the holiday live on! Like a lot of grandparents, we at Stephens Valley live on the simpler side of life. We embrace our deep roots, we get to know our neighbors, and we love the great outdoors. That’s why we think it’s important to celebrate the ones who hold these traditions closest to their hearts since they are so necessary in keeping our way of life alive. Without grandparents, we’d surely be lost in our iPhones, iPads, and “i-everything else.” Grandparents remind us that the world didn’t always use to be so savvy, and “checked-in”. We encourage you, this Grandparents Day, to make this years’ celebration absolutely unforgettable, even if you may have forgotten to celebrate it in years past. In fact, Stephens Valley and the area surrounding it both offer so many options that you and your grandparents will absolutely love. Check out some of our suggestions below, and get started on making unforgettable memories this Grandparents Day! Stephens Valley itself boasts over 500 acres of the great outdoors, and will soon have miles of both paved and unpaved trails. In the meantime, visit Natchez State Park, Edwin Warner Park, and Radnor Lake State Park which are all located right in our backyard! It’s good for everyone to slow down and smell the roses every once and a while, so we challenge you to match your grandparents’ pace, and really enjoy both nature, and the conversation. We at Stephens Valley love front porches. In our opinion, the best-made memories come when you’re swinging on your front porch swing, rocking in your front porch rocking chair, or sitting on your front porch steps. Ask your grandparents’ a thing or two about “the olden days”, and you’ll find yourself feeling nostalgic for a time we, for the most part, can only dream about. We can bet your grandparents know some things that Google and Alexa don’t! Before recipes, there were grandmothers and even grandfathers who knew their way around the kitchen. There is something about watching someone cook without the assistance of Pinterest or Google, that really puts things into perspective. Get out your old school pen and paper, or iPhone Notes app if you must, and take these recipes down! One day, you’ll make the same desserts with your own grandchildren, and the beautiful cycle will continue for generations to come. Soon, you won’t even need to leave Stephens Valley to find an adventure. With a quaint but bustling Town Square, a fresh and fun Farmers Market, swimming pools and much more in the works, there will one day be nothing but adventures in store. 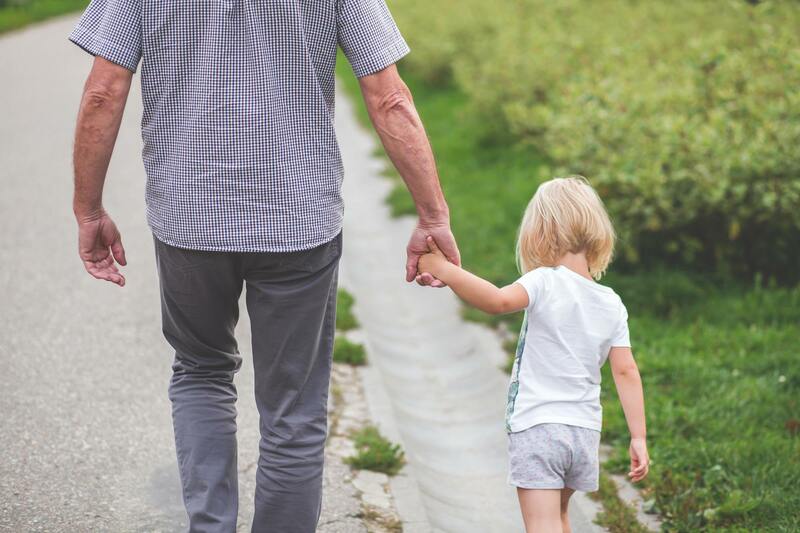 However, while our community is still being built, there are several options surrounding Stephens Valley that will surely catch your grandparents’ attention. Take her shopping at Bellevue Place, take him golfing at Temple Hills Golf Course, or take them both to the Loveless Cafe for some of the best southern cooking in Tennessee, which is located only two minutes from us! In addition, you could visit the Cheekwood Botanical Gardens, or go fishing in the Duck and Buffalo Rivers, which are also both extremely convenient to our location! Regardless of how you spend your Grandparents’ Day, at least promise that you’ll make it a day to remember. You are your grandparents’ biggest accomplishment, because you are a living example of their own life’s accomplishments, and will always carry on their memory. Give them the chance to make those memories with you, the chance to continue their traditions. If you are lucky enough to still have your grandparents on earth, celebrate them this Grandparents Day! At the end of the day, you’ll only regret the times not spent with those who care about you more than they do themselves. Please Call Office In Advance Hours Subject To Change. Not all listings belong to the host firm. Website designed and maintained by MediaTree.